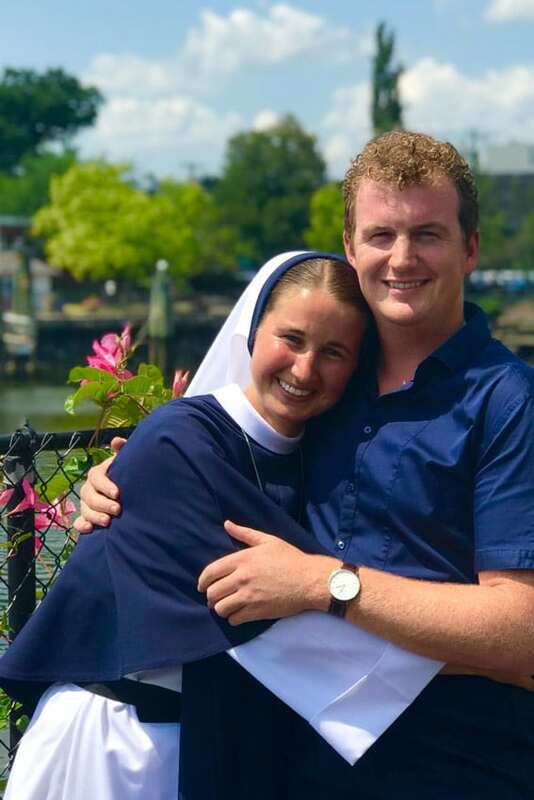 Twenty-eight year-old Jessica Langrell from Sydney, made her First Profession as a Sister of Life on 4 August, in Connecticut, USA. The vibrant young woman, now known as Sr Mary Grace SV, first met the Sisters of Life ten years ago at World Youth Day in Sydney. 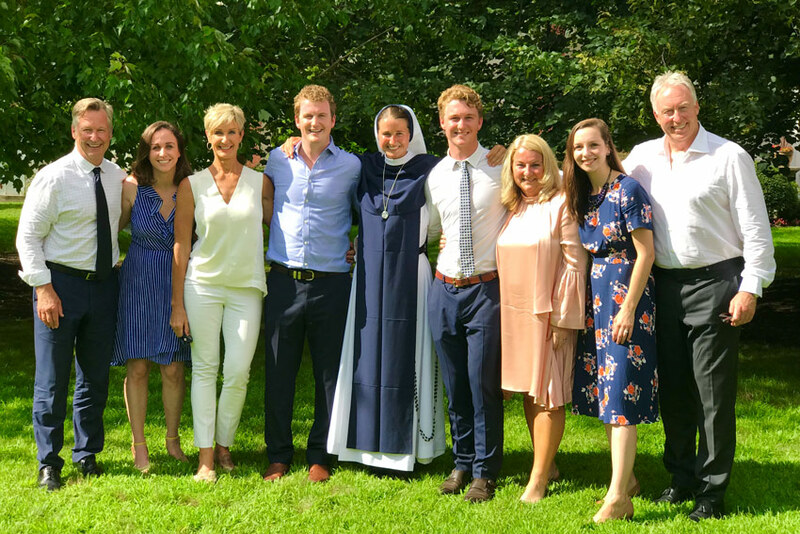 Family members travelled from Australia to join Sr Mary Grace on her special day, including her parents, Mark and Mary Langrell, and brothers Patrick and Thomas. Sr Mary Grace is currently serving at Sisters of Life Visitation Mission in Toronto, Canada where she offers support to pregnant women. 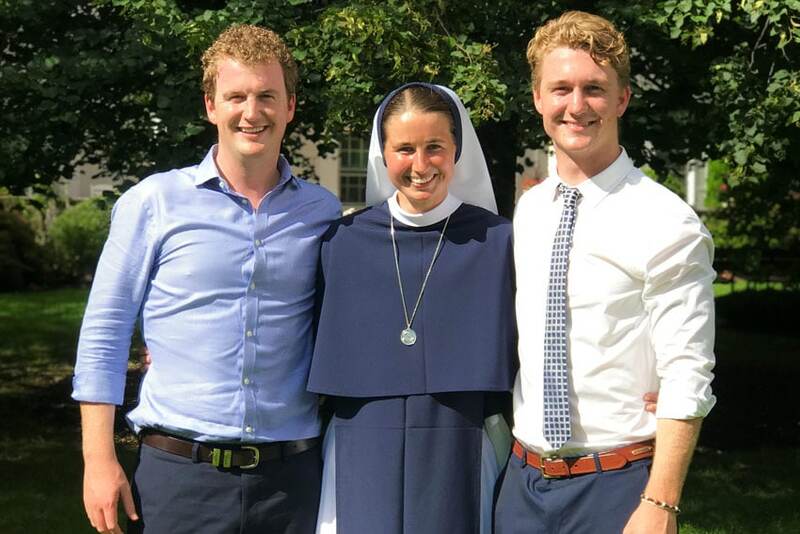 She recently spoke to Catholic Weekly journalist Catherine Sheehan about her vocational journey, what it was like to make her First Profession of vows in front of family and friends, and why she was attracted to the Sisters of Life, a religious order dedicated to upholding the dignity and sanctity of every human life. 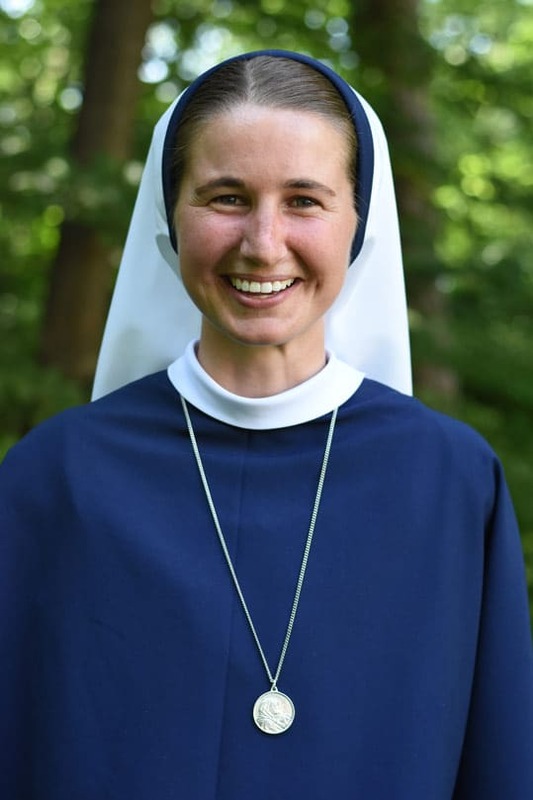 Sr Mary Grace, what was it like to make your First Profession of vows? Like most brides on their wedding day, I was super nervous in the morning! But thanks to God I was filled with peace when I passed an image of Our Lady just outside the Chapel. I’ve never felt freer in my life than I did after I professed my first vows. It was such a glorious day but I especially remember being overwhelmed with joy and gratitude. The joy was palpable after I professed my vows and witnessed my six other Sisters in my class profess their first vows. I found myself smiling so much my cheeks were aching before we even left the church! What was it like to profess those vows in front of family and friends who had travelled from Australia for your special day? I felt great gratitude, because the very people who gave me faith, formed it and inspired it, from my Sisters who came from all our missions, to my family and friends who hiked across the world to be there, were all there together. It was also really special to profess my vows this year as us Aussies celebrated the 10 year anniversary of World Youth Day in Sydney, where I first met the Sisters of Life. And it was also a special week, as my own parents celebrated their 33rd wedding anniversary! How have you found religious life so far? I am amazed at God’s grace and His faithful love, especially over the years of my initial formation as a Sister of Life. But I step forward with confidence that as I begin this new life with Him and service to His Church, the Lord who brought me there on that day will continue to be with me each day onwards. 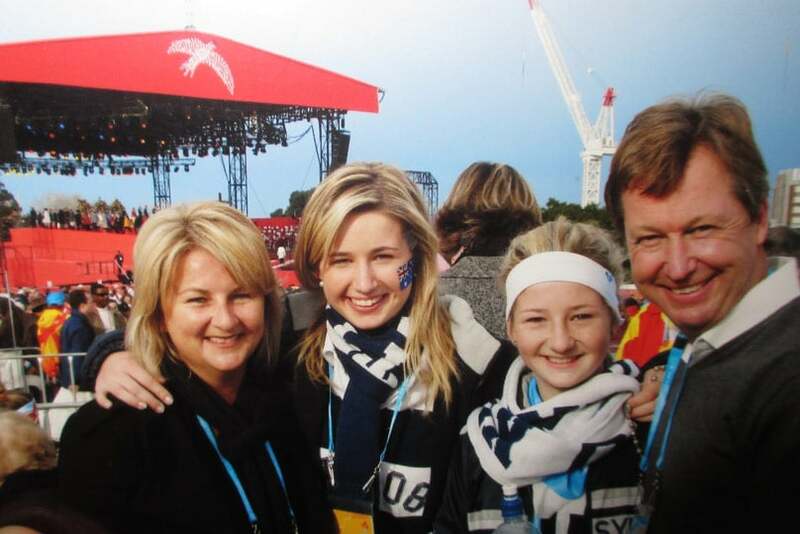 You first met the Sisters of Life 10 years ago at WYD08 in Sydney. What was your first impression of them? I was legitimately stunned by the Sisters. I can’t remember anything they said or what work they did, but what I do remember is how they lived. They were very relatable and their joy was authentic. They were women who knew they were loved by God and believed it, and that made them radiant. I guess I was surprised how attracted I was to their way of life. 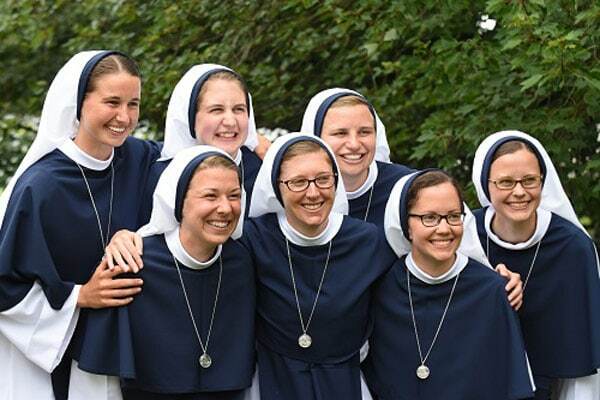 I had found in the Sisters what I was looking for, even though I didn’t know religious life could be a place I could look. Did you imagine back then that you might one day join their order? Absolutely not! It has never crossed my mind before I met the Sisters on my own home soil. But what did catch me was a spark that was lit when I met them, and I wanted to know more. What in particular did you like about the order? As I tried to follow this spark within me, it is God who kept drawing me to Himself via the Sisters of Life. Throughout my day and before the Blessed Sacrament, I would pray and talk to God about my hopes and fears about life as a Sister, and there I encountered the very real love of Jesus Christ. And only true love can call an Aussie away from the beachside! At first, the Lord revealed His love through the Sisters of Life themselves. They gave witness to a kind of life with Christ that was both incredibly beautiful and yet mysterious to me. Once they returned to the USA, I looked into them more, but at a safe distance on the other side of the world! That’s when I discovered more about their charism of life and mission to protect and enhance the sacredness of human life. And this cause seemed native to my soul, something I desired more and more to lay my life down and live for. Tell me about the new apostolic centre that the Sisters have just opened in Toronto. Just this past September 15th we opened up our new apostolic centre in the heart of Toronto, close to two of the city’s biggest university campuses. I feel like I’m riding on a wave of grace since I arrived in Canada after receiving my first mission at First Profession of Vows. Soon after arriving, we welcomed most of our Sisters to the opening, who served this mission and built it up over the last decade. And now we find ourselves on the crest of another new beginning, and we’re eager to see how the Lord will continue to bless this city and proclaim the timeless truth that every human life is good and capable of great love. We do this through our Visitation Mission as we accompany pregnant women, we offer hope and healing after abortion, and host a range of events for young adults, from regular holy hours, to retreats for young adults and women.